Book Online In Great Detail will confirm your car detail appointment via phone call. Prefer to make your reservation via phone? Give us a call! You can contact us between 9am and 5pm every day of the week. Our phone number is (610)-431-6210. 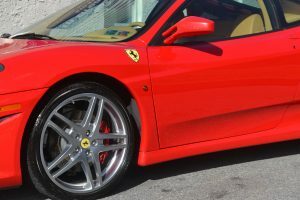 In Great Detail is the leading car and truck detailer in West Chester, PA. We provide the best car detail services and ceramics coatings near you. We have hundreds of happy customers and offer specials often. Be sure to sign up via email. Wash all that grime and salt off with a mini detail! Customers love the way their car looks! We provide customers car detailing services that keep your investment clean and protected. Additionally, customers count on our ultimate car detail expertise so they have a clean, detailed car. Our lead detailers are certified in dent removal, paint protection, and color matching, from chips/wear and tear, services. Furthermore, In Great Detail provides a standard of service to our customers that surpasses the competition. We are trained by the best installers and have all the latest technologies for an exceptional auto detail or Ceramic Pro Coating. Additionally, our expansive team of auto detailing experts will condition and maintain the beauty of your vehicle in great detail. Learn more about Ceramic Pro 9H the amazing ceramic paint protection packages! We are expert installers trained by the best. Full detail of BMWi8, plus HydroSilex Recharge installed. Book your appointment! Calling all Father's! Get that special dad a detail, Ceramic Pro Paint Protection or a gift card!